In November, ExchangeWire hosted ATS Berlin, a one-day conference covering the key topics in the programmatic, ad tech and martech industries. As well as focusing on the DACH region, opportunities and challenges in the CEE region were also a central topic. 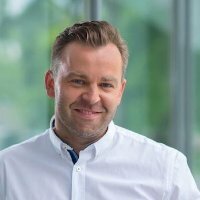 Following his contribution to the panel discussion on programmatic on the buy side in CEE, ExchangeWire spoke exclusively with Maciej Wyszynski (pictured below), Managing Director DACH, CEE & MEA at Sociomantic Labs about the parallels and differences in programmatic between the DACH and CEE regions. ExchangeWire: How has programmatic affected the agency/brand relationship in the CEE region compared to the DACH region? Are we seeing moves towards in-housing? As soon as programmatic reached Europe back in 2011, Sociomantic looked towards opportunities in the CEE market. At the time, it was quite tough as many stakeholders weren’t as aware of the efficiency and precision offered by this new solution. Programmatic was still in its infancy in CEE, and it was all about evangelising the market. Eventually, advertisers, publishers and agencies started to explore this new corner of digital marketing, and agencies started to include third-party technologies as part of their offering to brands. It was later when trading desks were established, alongside Google and Facebook pushing for heavy adoption with their inventory and solutions. 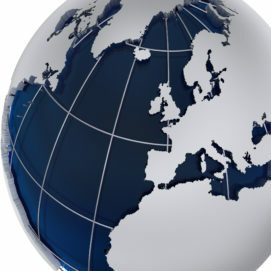 As it is still in early stages in CEE, agencies have started to develop in-house trading desk solutions. Yet there is still reliance on third-party tech providers and their proprietary technologies. Agencies are aware that proprietary tech offers flexibility when it comes to optimising the solution towards bespoke client needs. In the DACH region we also have a strong agency/DSP reliance on topics around programmatic buying, but at the same time we see trends for ‘in-housing.’ By this I mean, leading advertisers are building up teams of experts in the programmatic field, CRM and data. By using different vendors, they make sure that the intelligence resulting out of those marketing activities stay in-house. Examples being Retail Media Group (RMS) launched by the Metro Group and Zalando Media Solutions launched by Zalando. In addition, we’ve also seen acquisitions of programmatic technologies or data expertise acquired by advertisers, such as nugg.ad by Zalando. Are we seeing other channels like TV and DOOH moving to programmatic? What are these shifts looking like? When it comes to strong trends in the CEE region, we have to mention programmatic video — mainly in-stream and outstream. Ad data shows that digital video advertising is experiencing strong growth: according to IAB Europe, spend in digital video advertising grew by more than 20% and programmatic video by more than 150% in 2016. And it is also important to note that companies operating in these fields are able to find premium inventory outside walled gardens platforms. The DACH market is more mature, so DOOH (digital-out-of-home) and TV are starting to play a role, especially as they both offer extensive reach. Both formats are moving towards programmatic, albeit at a slower pace. The rise of smart TVs and digitally connected OOH (out-of-home) placements offer fertile ground for programmatic growth. With a lack of defined standards, this hasn’t yet been explored to its full potential. But once the market standards have consolidated more, we are likely to see rapid growth in these areas. For example, FMCG sales impact can be evaluated from both linear and personalised TV campaigns at a household level. For brands, this means they will be able to see which programs are viewed by customers buying specific products, which are the top performing programs for target audience segments, and how many times an advert is viewed, on average, before prompting a response. Once programmatic TV becomes a truly viable offer, those kinds of insights will be crucial for planning campaigns for programmatic TV. Is programmatic still focused around display retargeting or are we seeing more brand spend heading in that direction? Which roles does attribution play here? Agencies tend to use their trading desks for branding while programmatic partners are utilised for display retargeting campaigns. However, we’re starting to see glimmers of programmatic technologies being applied for the whole funnel in both DACH and CEE regions. This is already the case in markets like the US and UK, where a single platform is used to buy media programmatically whilst meeting either branding KPIs or performance goals. The same can be achieved in DACH and CEE, given the access to high quality inventory thanks to being plugged in with a number of SSPs. What might keep advertisers from taking advantage of this comes down to a matter of budget allocation, which is why attribution is an important part to this puzzle. Upper funnel or prospecting campaigns offer great value to advertisers. But where it becomes truly useful is if these campaigns bring qualified traffic to fuel the next stage of the purchase funnel. The right attribution model helps point to where marketing spend is being intelligently and efficiently spent, from either a focus on new customer acquisition or converting website visitors. The heavier focus on branding spend is driven by brands that extend beyond the ecommerce scope. Programmatic platforms that have the means to combine online and offline data points — that is, online customer behaviour paired with in-store purchases — are best placed for FMCG/CPG brands, which tend to focus on KPIs such as brand and category uplifts. As these advertisers look to programmatic-buying technologies to support their marketing plans, the industry will tilt more and more towards data-driven branding campaigns. Looking at a wider European/global perspective, are there innovation trends and strategic approaches that other markets can learn from CEE? The technologies or approaches in this region are not any different from what we see in Western Europe or even US. However, what’s unique about the CEE market is its quick adaptation and reception to trends and innovation. It’s a matter understood by industry players in CEE, driven by a desire and need to catch up with the more mature markets. As such, CEE is open to new solutions, new ideas, new providers, making for very exciting and fascinating partnerships. The openness and the test-and-learn mentality here could certainly be adopted in other markets. Elsewhere, I had come across a lot of ‘never change a running system’ frame of mind, which stifles a lot of learning and innovation. I understand the pressure on a marketer’s shoulders these days. If campaigns suffer with one big industry partner, it’s not treated as severely because it’s seen as the status quo – everyone is in the same boat. But if partnered with an independent DPS, trying out something new and unique, there’s a perception of much higher risks that they’ll have to answer to. Are you having discussions about brand safety, ad fraud, viewability, etc with your clients in the region? Has the fallout and questions around trust and transparency been as strong as in other markets, like Germany or the UK? These are definitely important concerns in CEE, and are often raised in almost every industry conference. These matters are why agencies often highlight the risk of programmatic. And rightfully so. There are fraudsters out there, taking advantage of the loopholes in the system. The truth of the matter is, tackling matters like ad fraud need industry-wide collaboration, whether in the UK, Germany or CEE. And there are indeed players that are addressing the issues, raising it with the suppliers, as well as innovating its own bidding engine to grade inventory quality. What we recommend to advertisers is to seek out DSPs that are directly connected to SSPs, and ask what measures are being taken to enforce quality; learn as much as possible about how ads are being targeted; and to adopt a multi-click attribution model to help eliminate the tendency of some ad tech players to bait the last-click of their customers. Clients with a high brand sensitivity, e.g. kids products, often raise concerns of ad placements. For instances like these, we suggest the option of applying blacklisting and whitelisting during the campaign run. Another important question that often comes up is brand overexposure, which can lead to long term damages. Programmatic display partners can control exposure through its SSPs and on a user-level, even limiting the number on banners appearing on one web page. This frequency cap and bid limit is becoming even more relevant when entering the field of programmatic branding, an aspect we’re hoping to enable further as the CEE market continues to grow and innovate.